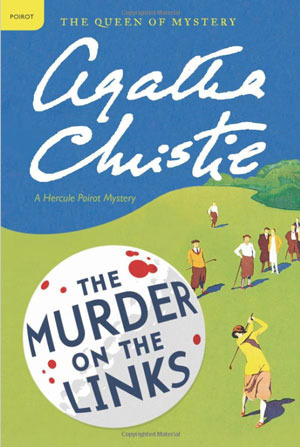 The Murder on the Links is Agatha Christie's second outing for the famous Belgian detective, Poirot. I have to admit that I’m a bit of a Poirot fanboy, having enjoyed both film and television adaptations, and have belatedly come to Christie’s original books. I’m now reading the series in the order they were published, but, for the record, this is the fourth one I’ve read. The story is told from the perspective of Captain Hastings, and starts off with Poirot receiving a troubled letter from a Monsieur Renauld, asking for his help, urgently. Poirot and Hastings waste no time and set off for France immediately. Unfortunately, they are too late, and upon arriving at Renauld’s Villa, they discover that he has already been murdered. Nevertheless, Poirot and Hastings stay in France, with the blessing of the local police, and try to puzzle out the crime! Poirot and Hastings are not alone in their puzzling. They are, in fact, in competition with the renowned French detective, Monsieur Giraud, who has a very different investigating style to Poirot. While Poirot is all about the psychology of the murder, Giraud prefers hard facts, clues and tangible evidence - something Hastings definitely approves of. Throughout the story, I really liked the way Christie pitched the two competing detectives against each other, and how each detective tried, often humorously, to gain oneupmanship. The story moves along at quite a brisk pace, and is never dull. The chapters are fairly short, and the clues to the murderers identity come thick and fast, even though you may not recognise them at the time! I thought the story was quite ingenious, and I loved the way Christie had Poirot explain every little detail, so even the most confused reader should understand what was going on by the final chapter ended. Overall, I’d definitely recommend this book, especially if you are a fan of the film and television adaptations. At the least, you get the story Christie wanted to tell, and at the most, you’ll also have a splendid time trying to figure out whodunnit yourself!